Create android project and target Android version 4.0. Make sure you have following lines in your AndroidManifest.xml file. 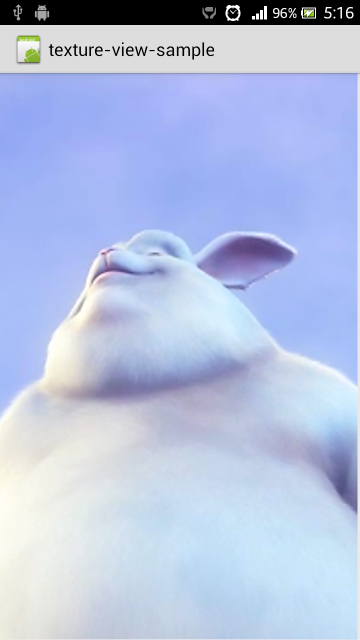 Copy the video file bigbuckbunny.mp4 to your assets folder. Note: TextView is only an indicator of our video original size. Create a new activity class and call it VideoCropActivity. Don’t forget to declare it inside AndroidManifest.xml file. We start by loading and playing the video from the assets folder. // MediaPlayer instance to control playback of video file. // is attached to a window and onAttachedToWindow() has been invoked. // Make sure we stop video and release resources when activity is destroyed. 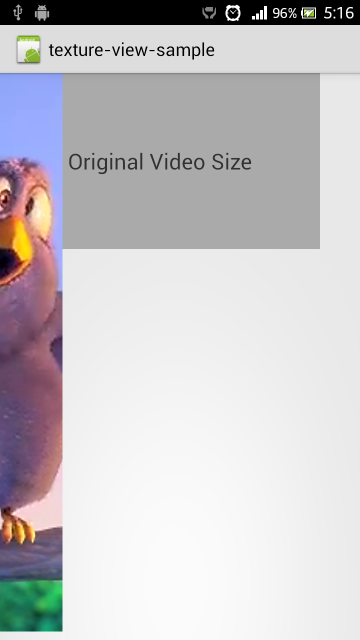 To calculate video scale factor we need to know the original video size. We can do that by using the MediaMetadataRetriever class. 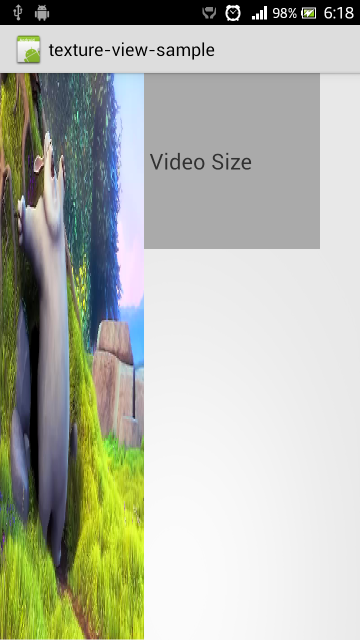 With the next part of the application logic we are going to add view resizing. When a user touches the screen, view width and height should be updated to the appropriate x and y values of the touch event. Inside initView method we need to set touch listener to our root view, and when action up occurs – call the method which will update the texture view size. Now you can launch the application and check the results. 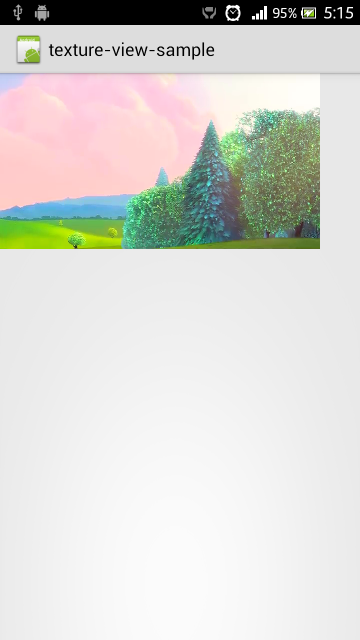 As you can see, view size is changed, however video itself is stretched. Our next task is to fix this. Edit the updateTextureViewSize method – First we need to calculate scaleX and scaleYfactor and set it to a Matrix object using method setScale(..). Next pass this matrix to TextureView by setTransform(..) method and you are done.